This may sound odd, but the 2017-released Google Pixel 2 XL almost seems more attractive than ever before... after it was recently discontinued. 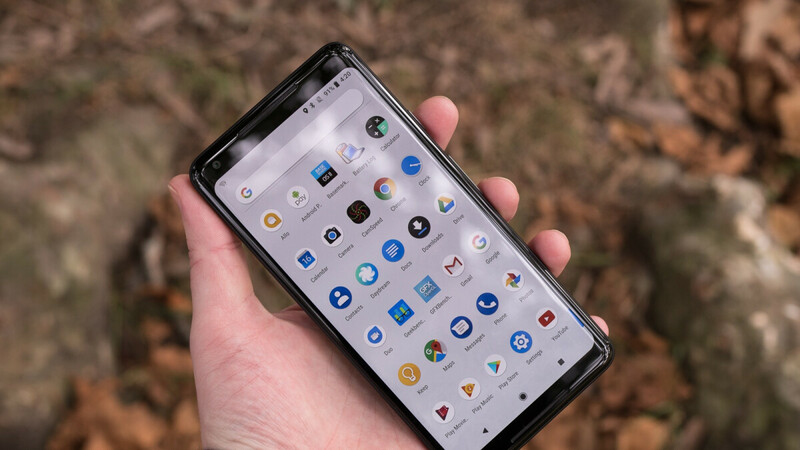 Android purists have Best Buy to thank for offering the most epic deals ever on the "pure Google" 6-inch phone this week, charging a measly $200 overall with device payment plans yesterday and $349.99 outright today. The newest promotion is part of a larger selection of 24-hour flash sales, actually jacking up the price of the "Just Black" Pixel 2 XL with Verizon installments from $8.32 a month to $14.57, amounting to the aforementioned 350 bucks after two years. But if you're not looking for a long-term commitment to go with this Snapdragon 835-powered oldie, the $349.99 you can pay upfront is down from $399.99 yesterday and a list price of $849.99 back in the day. Technically, that represents a whopping 500 bucks in savings, with (almost) no strings attached, although obviously, the Pixel 2 XL has been on sale numerous times before for less than $850. Still, this marks a new all-time low price for a silky smooth Android 9.0 Pie-running handset guaranteed to receive a stable Q update in a few months, while featuring an amazing single rear-facing camera, a decent 4 gigs of RAM, a sharp P-OLED screen with 2880 x 1440 resolution (and no notch), a relatively beefy 3,520 mAh battery, and an IP67 rating for water resistance. Keep in mind the Pixel 3 and 3 XL are significantly pricier even after a number of recent discounts of their own, while the upcoming Pixel 3a might actually cost more than $350 with humbler specifications in tow than the Pixel 2 XL. I might get another one if it drops to $300. I have the Original Pixel XL. Still runs just as smooth as the day I bought it. My friends have the Pixel 2 XL and it seems to be fine for them too.